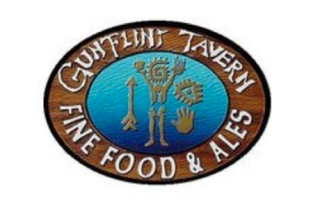 Craving a place they could enjoy a craft-brewed beer, nice glass of wine, organic food and live music year-round, Jeff and Susan Gecas opened The Gun Flint Tavern on May 22, 1998 in the old Grand Marais State Bank building. The Raven Pub, featuring fine spirits in an old maritime-themed atmosphere opened May 2004 and The Ravens Nest, our roof top deck and full-service bar with the best view in town, opened in the spring of 2005 . We are located in Beautiful Downtown Grand Marais across from Harbor Park, with a fantastic unobstructed view of our harbor. Next door to the Tavern is the Johnson Heritage Post, sight of the old trading post that supplied the trappers , miners and explorers heading North on the old wagon road that would later be known as the Gun Flint Trail. Most likely many ventures inland started and ended on the very site of the Tavern, with a toast to health and good fortune. Stop in, we are sure you will enjoy our view, food, drinks, entertainment and our friendly, ‘make you feel welcome’ staff.